Beach hoiuse for holiday rentals in Puglia, Italian vacations apartments for week rentals, condo customer services in our new condominum apartments for rent in Salento Puglia, beach houses, summer villas, vip beach apartment Puglia for You. BEACH HOUSE FOR RENT we offer our own new apartments for weekly rent in Salento Puglia, summer vacations condominum for your VIP holidays weeks in the most exclusive areas of Lecce Salento. Our own Properties for rent by week apartments in nice condominum and villas with full services and comfort. This sea-front apartment is set in an antique building dating from the early 1900s. The apartment has been recently restored and is cozily furnished. 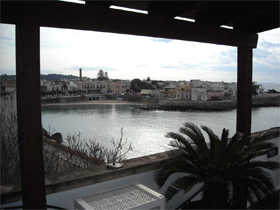 There is a fantastic view of the sea and Santa Caterina from the first floor terrace. 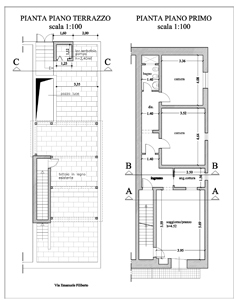 The apartment consisting in spacious living room, kitchenette, 2 master beds, 1 bathroom with Jacuzzi. At the first floor it features 100square meter terrace with private pool a The apartment is located in the centre of Santa Maria al Bagno, very near the shops, restaurants and festive terraces. 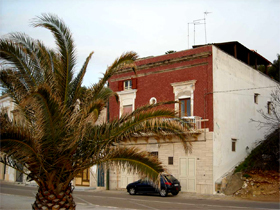 The apartment is an ideal base for visiting the beautiful Salento region. The splendid coast is more than 250 km long. It consists of flat, sandy beaches alternated by steep cliffs. The Salento Region is special because of its impressive natural beauty. The Porto Selvaggio National Park has many wonderful varieties of flowers and plants. The area has a rich history, much tradition, interesting architecture and beautiful countryside. The area offers a real possibility of enjoying a wonderful holiday. Santa Maria Al Bagno is approximately 55 mins travelling time by car from Brindisi where RyanAir flies to and from. There are several food shops in the village, a chemist, a post office, newsagent shops and a weekly market every Sunday . A large supermarket known is on the coastline to Gallipoli, 6 kms away. 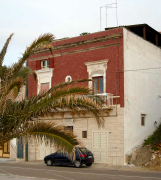 Lots of shops and fashion boutiques are in the nearest towns such as Nardò, Galatone, Galatina, Gallipoli and Lecce. ATTICO FRONTE MARE APARTMENT "SANTA MARIA AL BAGNO - LECCE"